The Arizona International Auto Show is produced by Motor Trend Auto Shows, Inc., founded in 1984. They produce more than 20 international auto shows across the United States. At the Arizona International Auto Show in Downtown Phoenix, you'll be able to see hundreds of the newest cars, trucks, minivans and sport-utility vehicles that will be introduced by auto manufacturers in the upcoming year. Not only can you see them, but you can drive many of them! Nearly 100 new vehicles will be displayed from manufacturers including Chevrolet, Chrysler, Dodge, Fiat, Ford, Jeep, Kia, Lincoln, Mazda, Ram, Scion, Subaru and Toyota, and some will be available for test drives. When Is the Arizona International Auto Show? This show is traditionally held on Thanksgiving weekend. What a great way to spend the holiday! Thursday, November 23, 2017 from 9 a.m. to 7 p.m.
Friday, November 24, 2017 from 9 a.m. to 9 p.m.
Saturday, November 25, 2017 from 9 a.m. 9 to p.m.
Sunday, November 26, 2017 from 9 a.m. to 7 p.m. The Arizona International Auto Show will take place in downtown Phoenix at the Phoenix Convention Center (formerly known as Phoenix Civic Plaza). Here's a map and directions to the Phoenix Convention Center including information on how to get there using Valley Metro Rail. Beware: Parking meters in Phoenix are NOT free on weekends and holidays. You must pay to park at a meter from 8 a.m. to 10 p.m. every single day. Some meters are coin meters and some accept credit cards. If you'll be looking for a meter, bring lots of quarters! Tickets are available at the Convention Center Box Office on the days of the show. You can also skip the lines and purchase your tickets from Ticketmaster, but if you want to take advantage of any offered discounts, like military, senior or children's pricing, you need to purchase those at the window at the show. On Sunday children 12 and under are admitted free when accompanied by a paying adult. Before you go, check the official website to see if there's a coupon. Wear comfortable walking shoes; there's a lot of ground to cover at the Convention Center! Children are welcome, but there are no activities for children. Sometimes there are character visits on Sunday. This isn't your typical trade show. There are very few vendor booths here. Just lots of new model vehicles. Because there aren't many vendors here, don't expect to go home with a bag full of cheap pens and souvenirs. This isn't that kind of show. You can pick up brochures on vehicles that interest you. Although there are a few tricked out and specialty cars, this is not a classic car show. The focus here is new model year passenger vehicles. There are snack bars and coffee stands located in various places throughout the Phoenix Convention Center. Try the food court or Starbucks. This is a great show to attend if you are seriously considering purchasing a vehicle. You look at them all, check out all the sticker information and sticker prices, and take whatever notes you'd like, all without having to deal with a salesperson. Even though you can't actually buy a vehicle at the show, there are usually representatives of the car companies on hand to answer any questions you might have. They can also tell you where you can find a dealership near you. 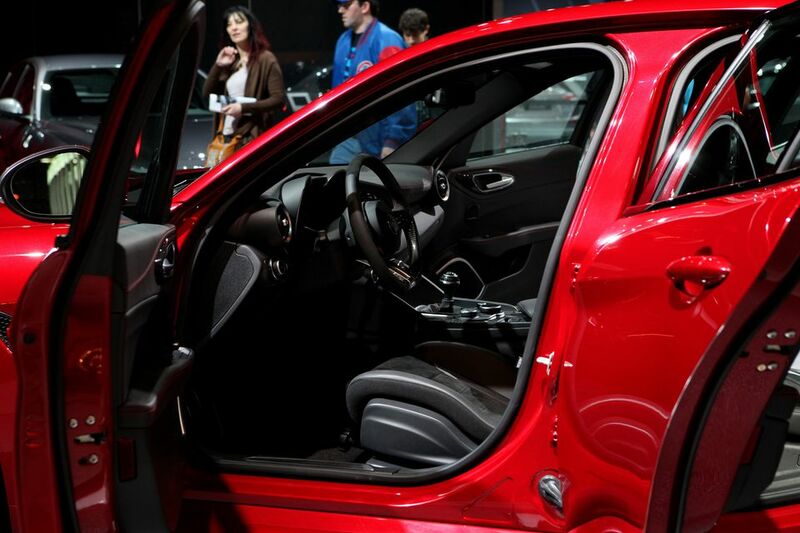 For more information, visit Arizona International Auto Show online.